You are one of the representatives of the warlike race from the planet Epsilon Prime. You need to get to your planet and clearing the way from asteroids. 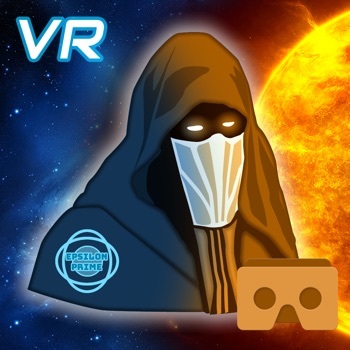 Use Google Cardboard or any other VR device for the game. During the game in VR mode you do not need to use the joystick or other buttons, the control is performed only by the rotation of the head and a delay of the sight on the button. The game also has a ranking system and the ability to get achievements. Who will be the best destroyer of asteroids? Complete with your friends! - 5 different leaderboards types. You will go from a simple pilot to hardened warrior, the destroyer of asteroids and hordes of enemy ships. Immerse yourself in the world of virtual reality, in the world of weightlessness and infinite space of the universe.